Paternity establishes the biological relationship between a father and a child. Paternity also carries legal significance because it triggers an obligation for the father to provide financial support to the mother in raising the child. When a child is born out of wedlock, many fathers accept and paternity by signing an acknowledgement form. However, in some instances, this does not happen and paternity is contested. If this occurs, you should speak to an experienced Houston paternity lawyer to discuss your legal options and the viability of going through an Acknowledgement of Paternity (AOP) process or through a court order. To obtain benefits like health insurance. 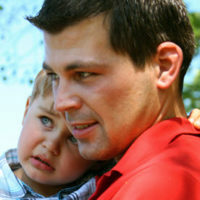 Some parents believe that entering into a private agreement about paternity issues is enough. Unfortunately, this is not accurate. You need to obtain clear, binding legal orders to ensure compliance down the road. For example, if you enter into a private agreement and, five years later, the other parent refuses to allow visitation rights or they are claiming the other has never supported the child financially, informal private agreements generally do not hold water in court. This is why it makes sense to proceed to a paternity suit if the father is refusing to acknowledge paternity. DNA analysis is the most conclusive paternity test available since it has an accuracy rate of over 99 percent. When you retain the services of an experienced family law lawyer, they can coordinate a legally conclusive DNA Identification test. This means that there will be valid chain-of-custody maintained to ensure that the DNA evidence is admissible. If a court finds that the man that is the subject of the suit is indeed the father of your child, a court may order retroactive child support be paid. Whether or not the judge orders retroactive child support depends largely on when the man became aware that they were the father of the child. If, on the other hand, the child was conceived during a one-night dalliance and the man never knew that he was the father, the court will likely take that into consideration in determining whether there should be retroactive child support. Texas law focuses on the best interests of the child, but there is no doubt that most courts want children to have the financial, physical and emotional support of both a mother and father. Once paternity is established, the father can request custody and/or visitation rights. In determining whether to grant these rights, Texas courts consider the past actions of the father including their contact with the child, along with their criminal record and any history of abuse. The Houston lawyers at Lindamood & Robinson, P.C. represent men and women seeking to establish a legal parent-child relationship through the paternity process. We are here to offer sound legal advice and counsel throughout the process. Contact our office today to schedule a consultation.